It sold its 10% stake in Hong Kong Aero Engine Services. SIA Engineering's full-year profits crashed 44.61% from $332.4m to $184.1m. Revenue also fell 0.8% to $494.3m. 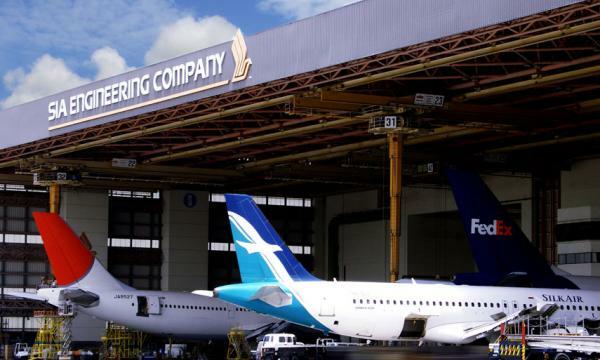 According to its financial statement, profits were slashed as SIAEC sold its 10% stake in Hong Kong Aero Engine Services Ltd (HAESL) to Rolls-Royce Overseas Holdings Limited (RROH) and Hong Kong Aircraft Engineering Company Limited (HAECO). SIAEC also recorded lower fleet management revenue. The share of profits of associated and joint venture companies jumped 13.8% to $109.8m. The share of profits from the engine and component centres increased $14.3m or 15% to $109.9m. Its airframe and line maintenance segment lost $100,000 due to higher start-up losses incurred by an associated company. For the fourth quarter, profits were up 9.1% from $45.9m to $55m. Revenue was down 6.4% a year ago to 276.4m. SIAEC gained $14.3m from the sale of its shares in Asian Compressor Technology Services Company Limited. Revenue was also pulled down by ower airframe and component overhaul and fleet management revenue. The share of profits of associated and joint venture companies slipped 7.4% to $25m, mainly due to the lower share of profits from the engine and component centres. Within the financial year, SIAEC also expanded its portfolio with the entry of joint ventures with GE Aviation and Stratasys Ltd.